Hello, crafty friends! 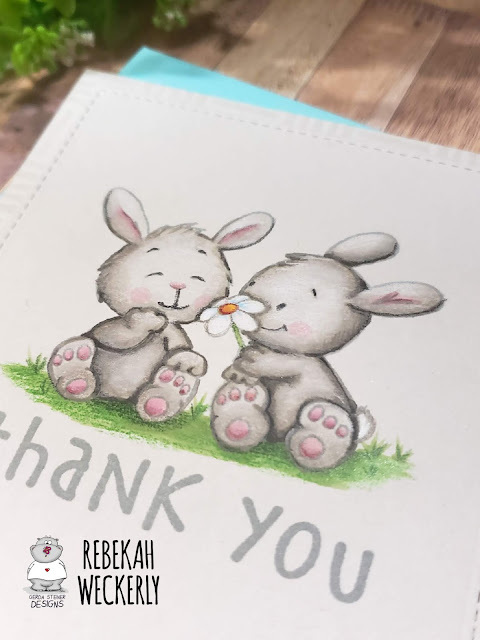 Its Rebekah here with you today with a card made using the Bunny Friends Stamp Set by Gerda Steiner! How sweet are these little bunnies? 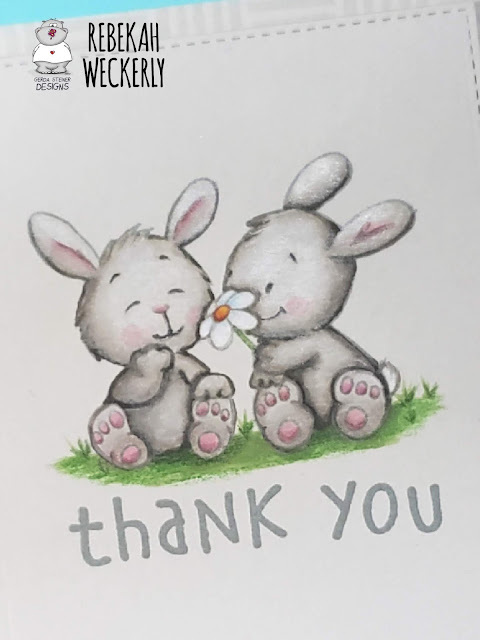 I just love then and was so excited to use them to make a friendship thank you card. But I wanted to do somthing a little different. I wanted a softer look for this card so rather then stamping with black ink onto white paper, I used gray cardstock and a copic safe gray ink. I used the warm gray copic marker family and layered on colored pencil for more details and softer shading. What really makes the bunnies pop off the gray cardstock is the highlighting created with a white pencil. I layered it right over the copic marker and it really makes them pop! For the daisy, I used just a touch of light blue pencil on the petals and then filled in with a white pencil. The sentiment is stamped in the same gray ink that I used for the bunnies. Thanks for taking the time to stop by the blog today! Be sure the tag Gerda Steiner on social media when you share what you have made!